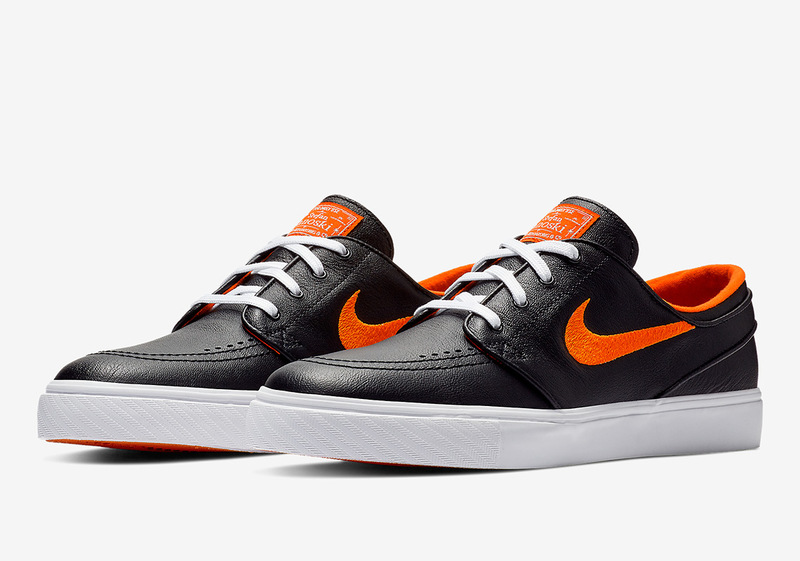 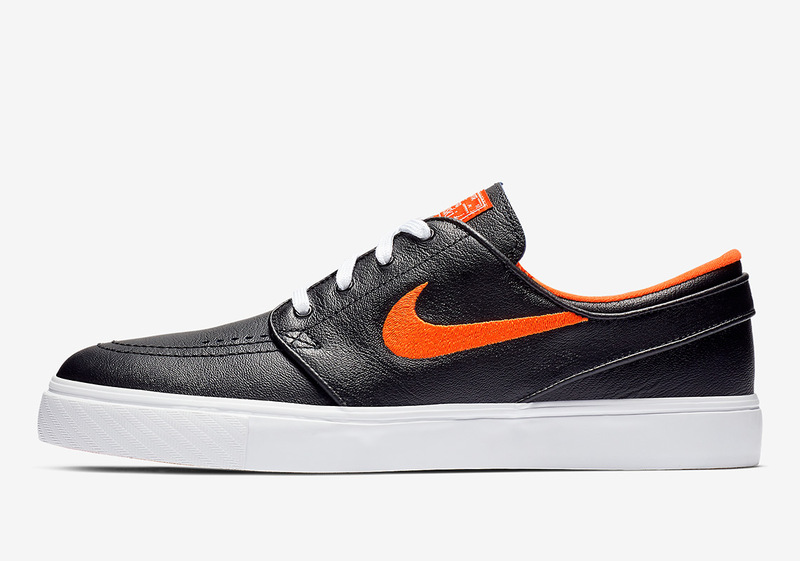 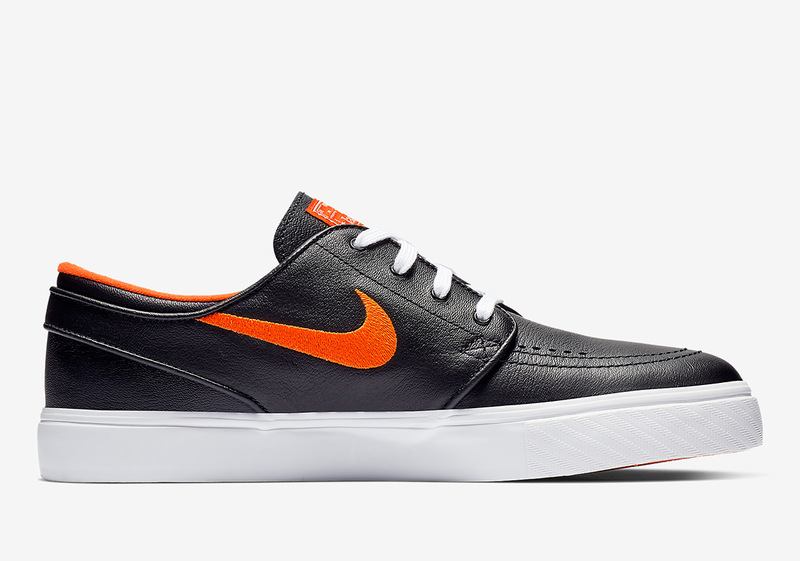 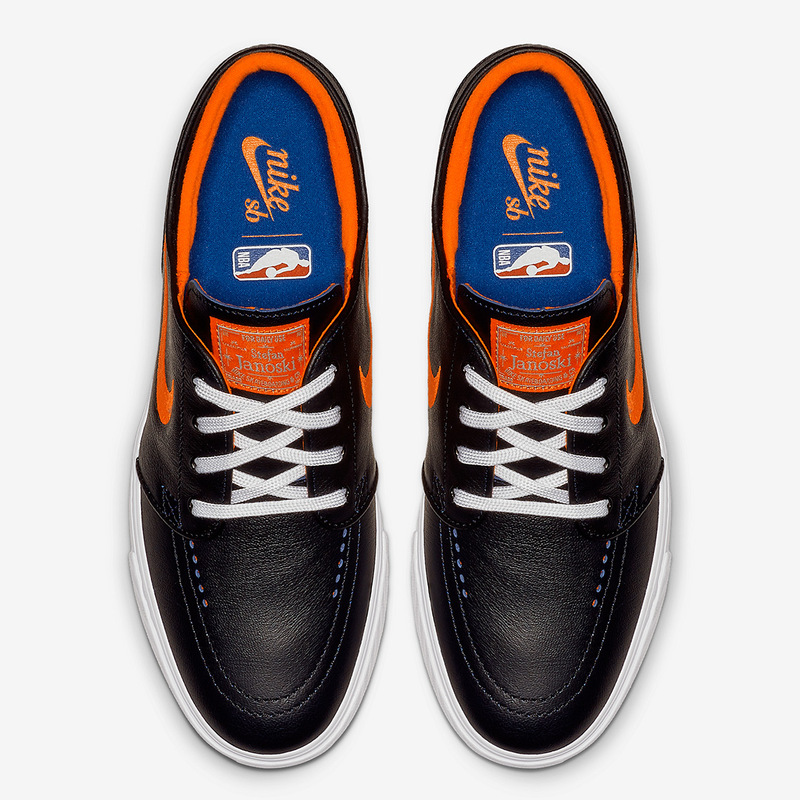 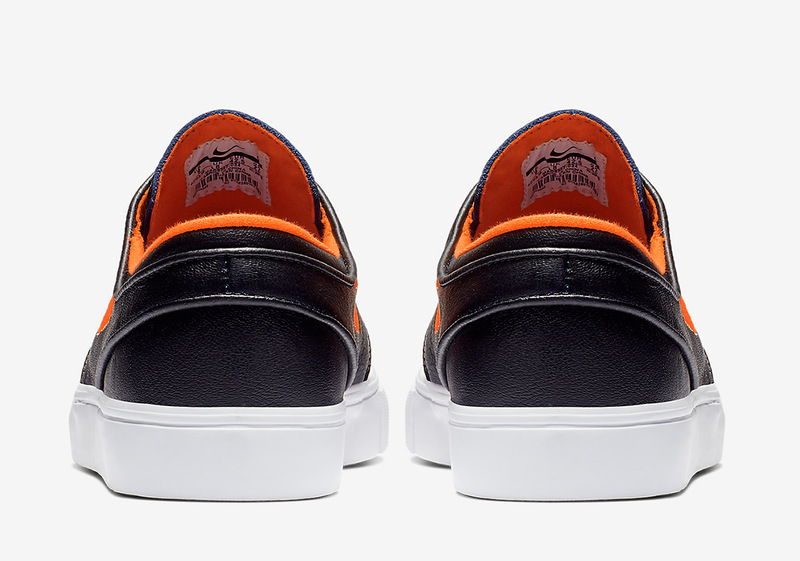 In celebration of two of the most iconic franchises in all of sports, Nike and the NBA are teaming up to release a duo of SB Janoskis dressed in color schemes for the New York Knicks and the Los Angeles Lakers. 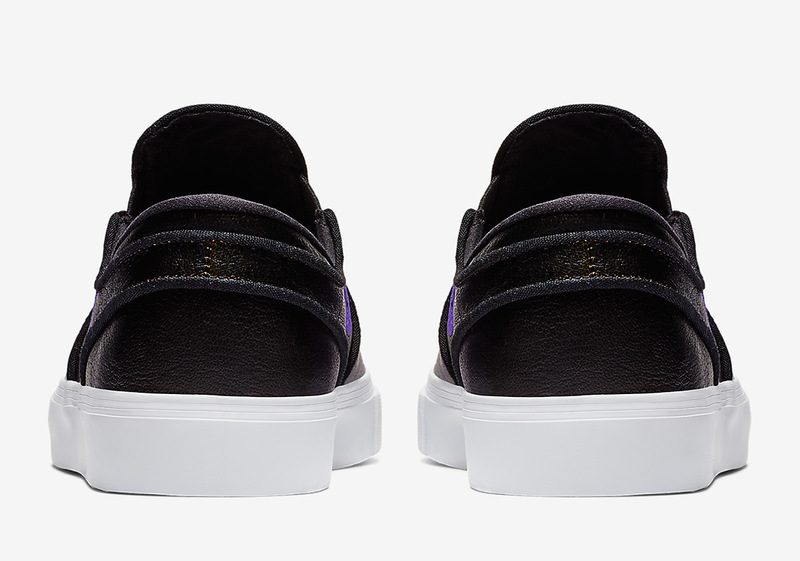 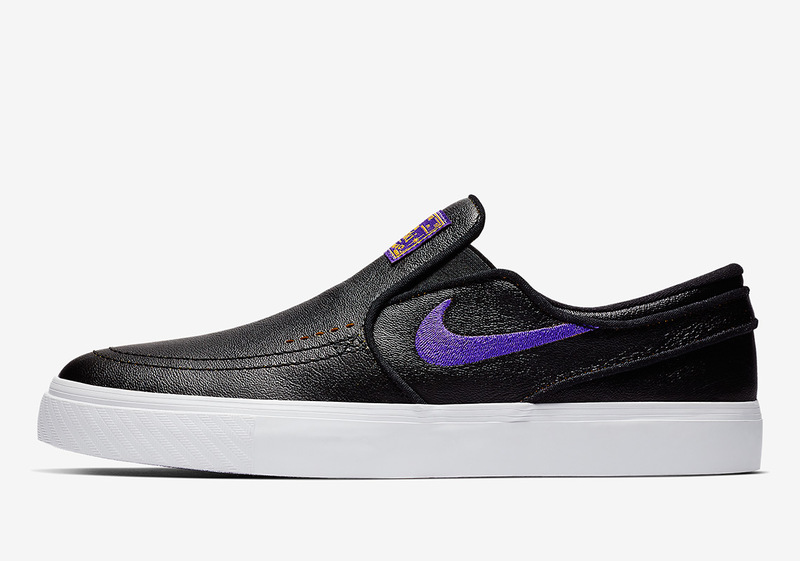 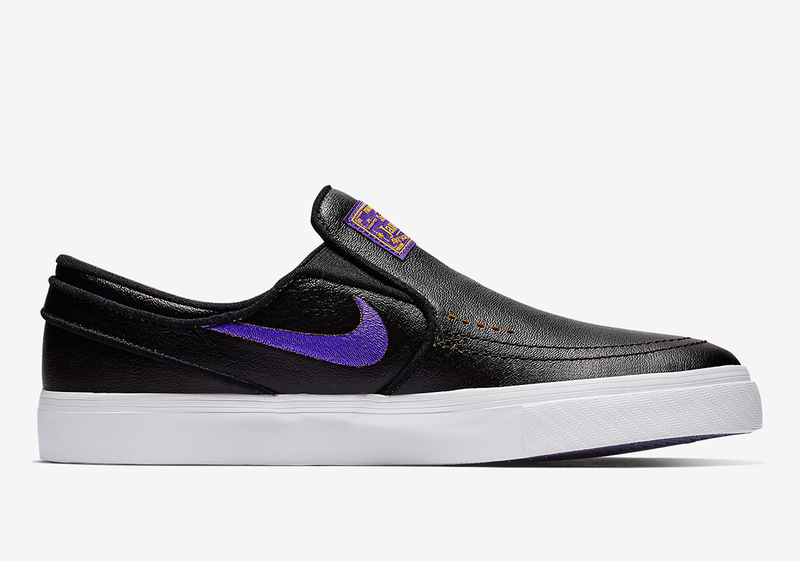 Devoid of any team branding, the purple Swoosh and golden yellow insole-equipped Janoski Slips are quite LA friendly, while the regular laced version of the skate-ready silhouette comes with a fiery orange Swoosh and classic blue insoles. 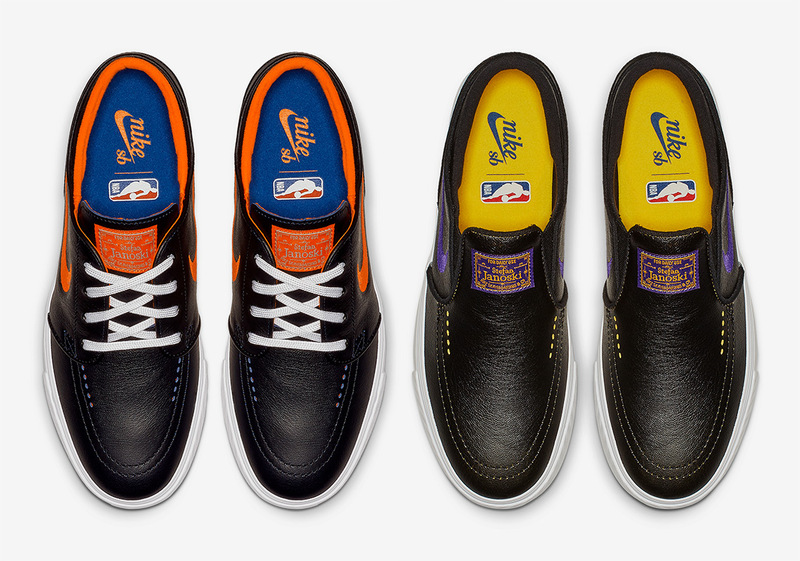 Joining the Dunk Highs for the Cavaliers and the Bruins for the Warriors previously shown, it is more than likely that the black layer of paint on these two iterations can be wiped away to reveal a more team-appropriate colorway. 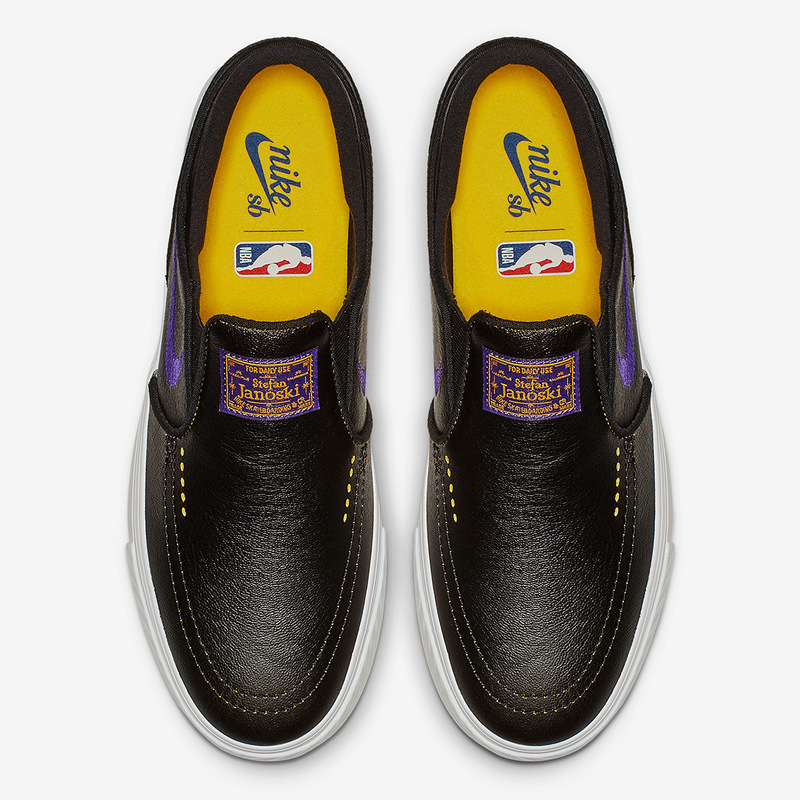 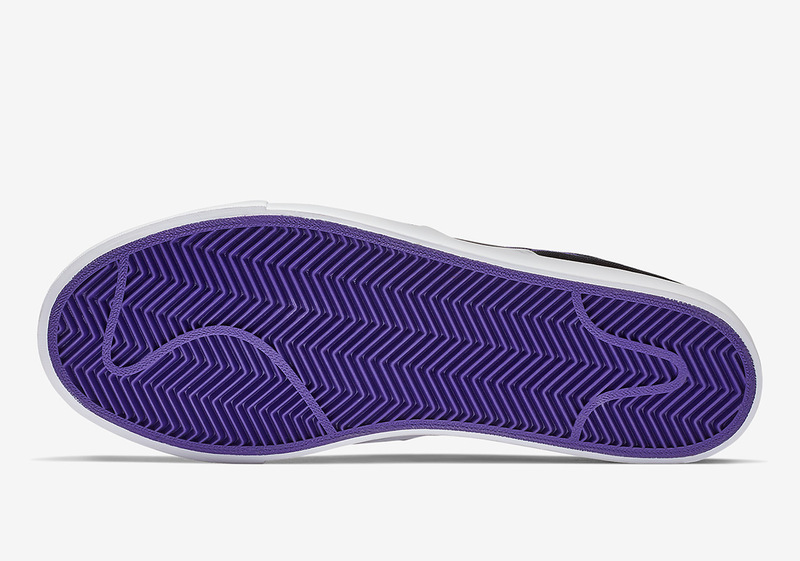 Co-branded NBA x Nike SB insoles complete these two Janoskis that will be storming into retailers as well as Nike.com alongside the rest of this collection on January 21st.